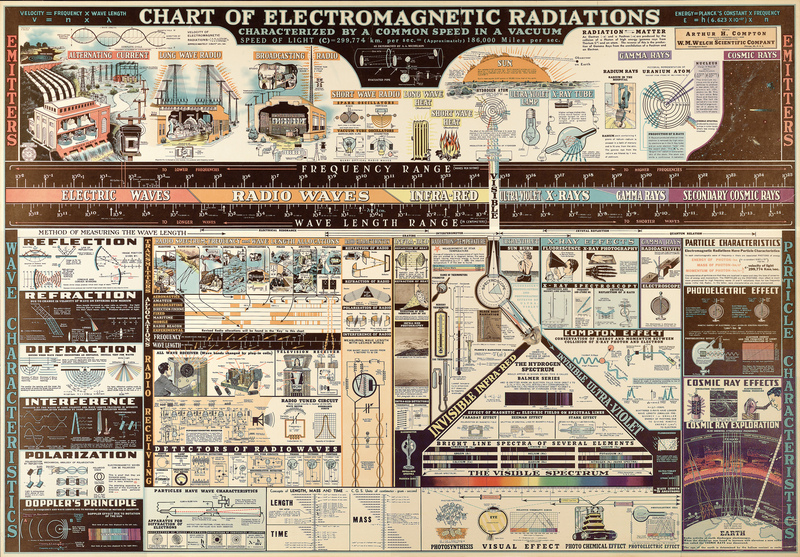 Everything you need to know about electromagnetic waves in one poster. Reflection, refraction, diffraction, oh my! Dive into the wonderful world of electromagnetic radiation–i.e., the energy that travels through space in waves, like x-rays, microwaves and good old visible light. Lawrence Livermore National Laboratory, a national security lab in California, put this poster produced in 1944 by the W.M. Welch Scientific Company up on the lab’s Flickr page recently. Apparently it was rescued from the back corner of an unused office. Who’d want to hide this piece of science history? If you want to get up close and personal with the illustrations (including a great little sketch of how you get a sunburn), there’s a really, really big version here.